We all speak up to 75% faster than we type. Even better, over thirty years of research show your students love to hear your voice. Highlight and rate evidence of skills students demonstrate in their work, and we'll automatically complete the rubric. Or record custom scores. Save any YouTube video or website as a Lesson in Kaizena, then quickly add it to your comment when reviewing. 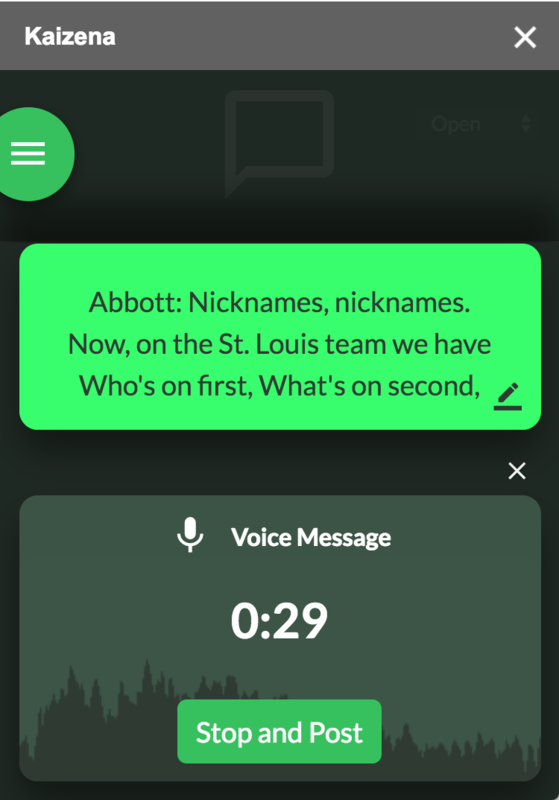 Or save your own voice or text comments as Lessons. 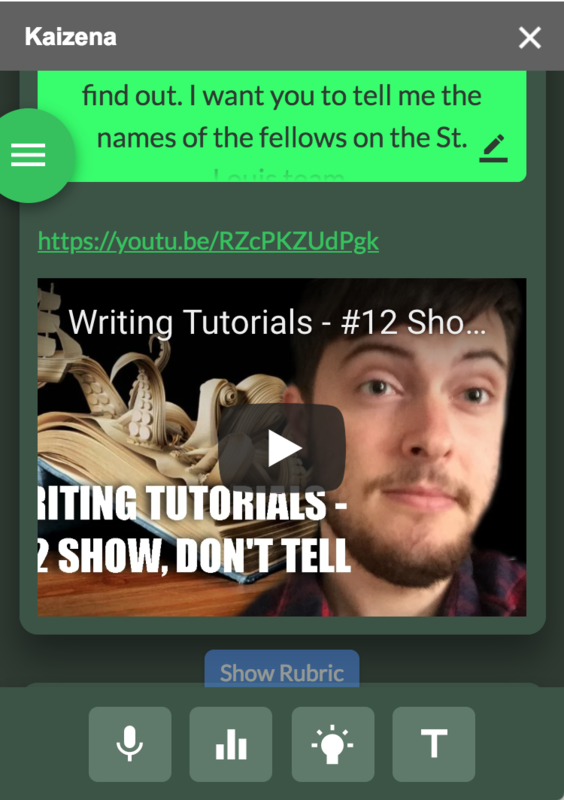 Share your Lessons and rubrics with your department, school, district or campus. Finally! Everyone on the same page, and everything in the same place. 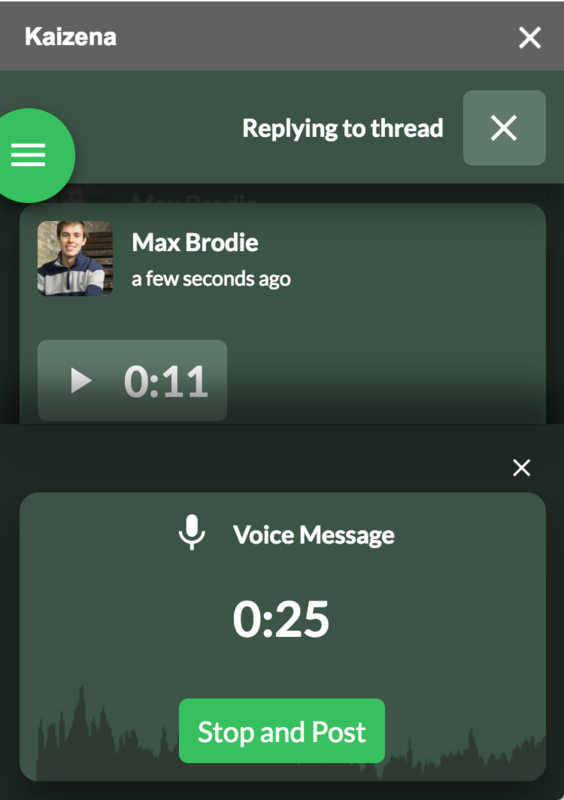 Track a Skill, then let them know you care with a voice comment. 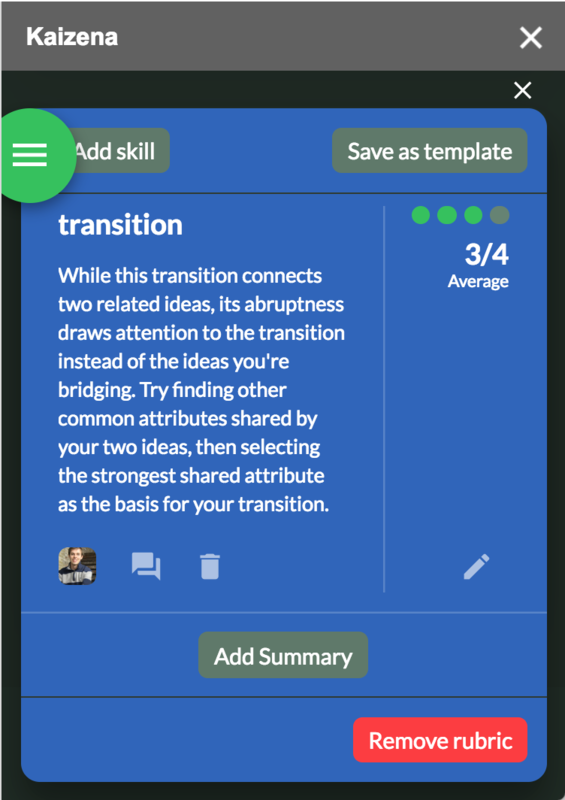 Or personalize one of your Lessons by adding a text comment to the same thread. 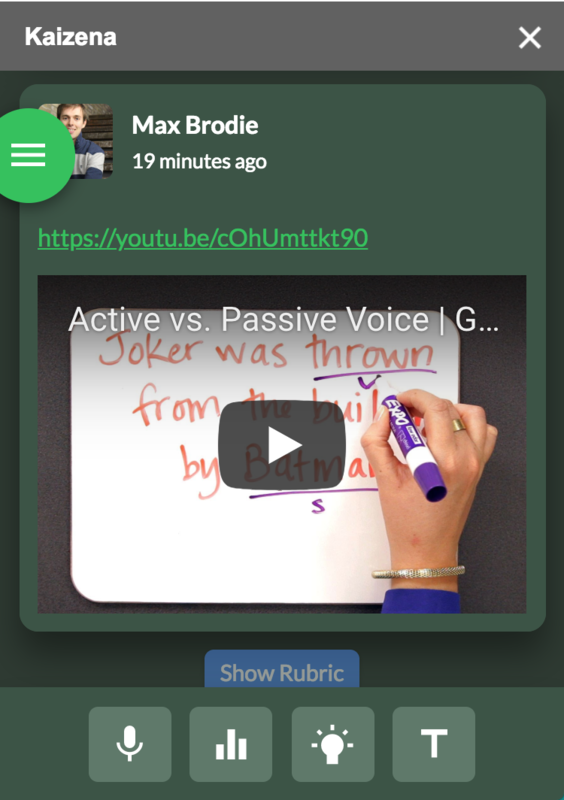 Highlight and speak your voice comments, attach lessons, track skills and complete your rubric right inside Google Docs. 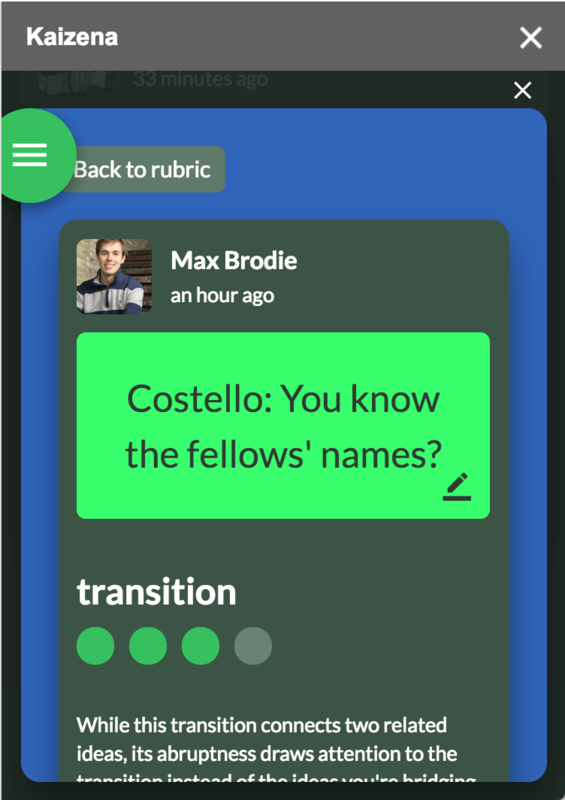 Students have access to the same commenting tools as teachers, and can reply to your comments with a voice comment of their own! Privacy, and our duty to protect it, is paramount. Kaizena complies with rigorous privacy standards. Your GSuite administrator can add Kaizena to all student accounts in less than five minutes. We Love Teachers. Teachers Love Us.